Put both hands on the ball at shoulder height. Step back so that your arms are straight. Do not allow your shoulder blades to get pushed out, shrug, or wing. If this happens you have reached technical failure - take a break. Hold your stance once into the leaning position and activate your abdominal muscles to prevent your hips from falling forward. 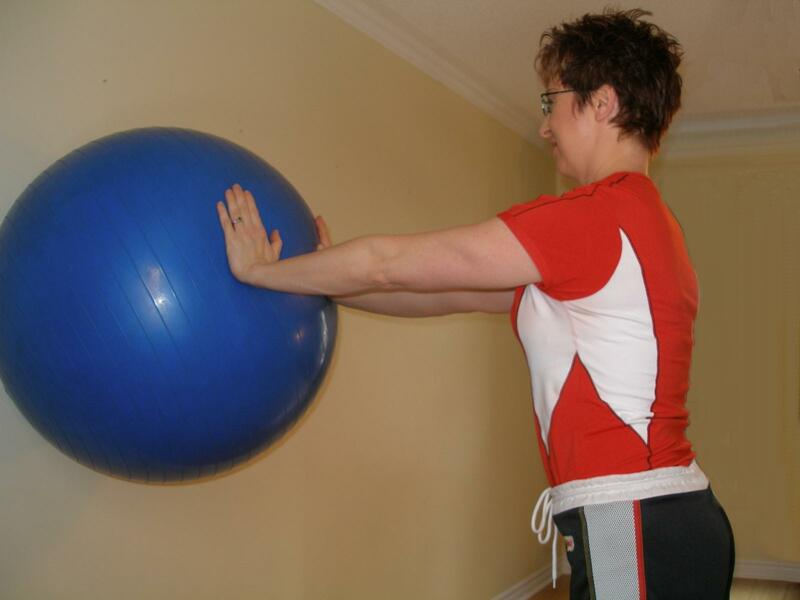 The further you stand from the ball the more difficult this exercise ball exercise becomes.